The first independent or 'pure' landscapes in Western art were produced in southern Germany in the first decades of the sixteenth century. They were painted, drawn and etched by Albrecht Altdorfer of Regensburg and his only slightly less flamboyant contemporary Wolf Huber of Passau. These radical experiments in landscape appeared without advance notice and disappeared from view almost as suddenly. Altdorfer converted outdoor settings into a theatre for stylish draughtsmanship and extravagant colour effects. At the same time, his landscapes offered a densely textured interpretation of that quintessentially German locus, the forest interior. 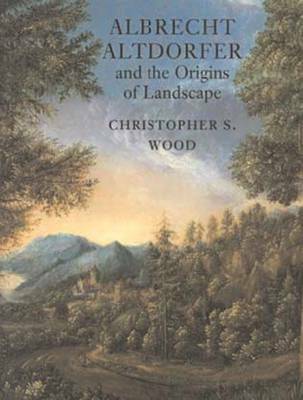 In this revealing study Christopher S. Wood shows how Altdorfer prised landscape out of its subsidiary role as setting and background for narrative history painting and devotional works, and gave it a new, independent life of its own.